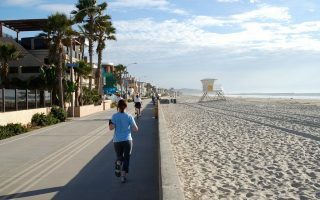 Running in San Diego, California. 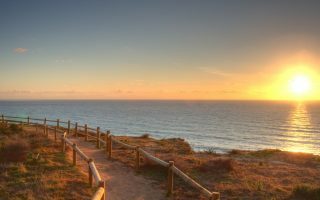 Best routes and places to run in San Diego. 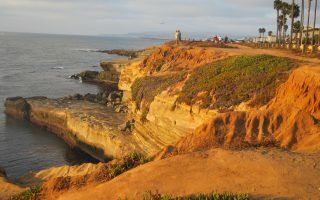 San Diego is a runner’s paradise. 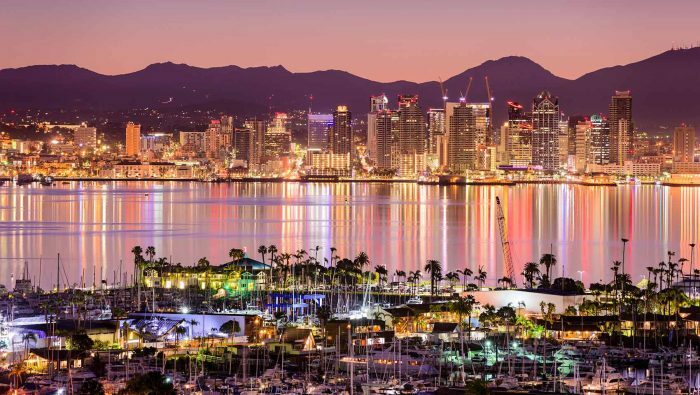 The combination of great weather, beautifully laid out harbor, beaches, and lovely running trails — all fairly accessible — makes San Diego one of my top running cities. 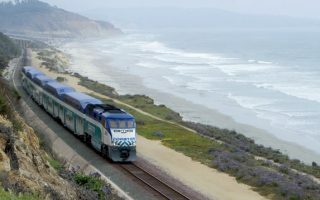 What’s especially nice is that travelers staying near downtown/airport/convention center have access to some great routes. 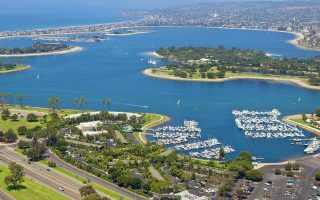 Some of the best places to run in San Diego, California include numerous options around the harbor, Mission Beach, Balboa Park, and Sunset Cliffs. 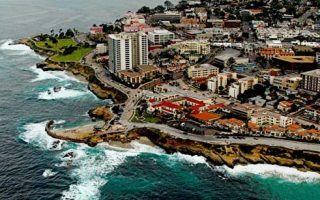 There are also some areas worth a special trip, such as La Jolla and Torrey Pines. There are also great opportunities for challenging trail running in the mountains to the east. 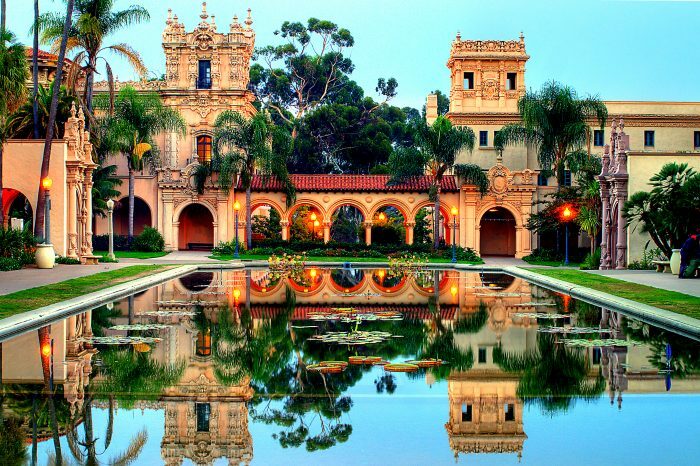 A gorgeous park, featuring 65 miles of trails through gardens, groves, and important San Diego sights such as the Zoo, and several museums. Many options for running, from trails by the sites to more wooded routes. 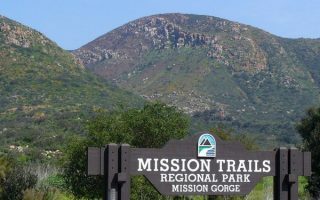 5,800-acre regional park located in La Mesa, 12 miles northeast of San Diego. More than 30 miles of trail running. Everything from the flat 1.2-mile Grassland Loop to more challenging trail runs, including 3 miles to the top of Cowles Mountain. 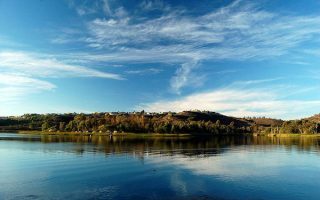 A 5-mile loop trail around a reservoir in the Scripps Ranch area, northeast of downtown. Popular spot for running, bicycling, and other activities. Paved park service road is relatively traffic free. Nice views to water and valleys. Central San Diego is quite compact. 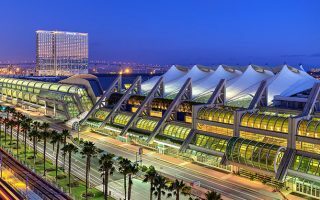 Stay near the airport, convention center, and downtown/gaslamp area provides good access to waterfront running. 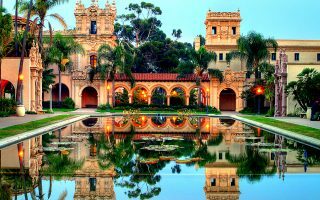 Balboa Park is 1–2 miles west of downtown/Gaslamp district. 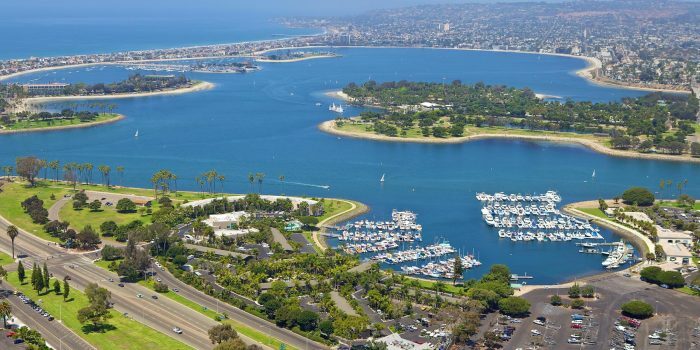 Mission Bay is 5–6 miles from downtown and there is a good selection of hotels there, and also near Pacific Beach. 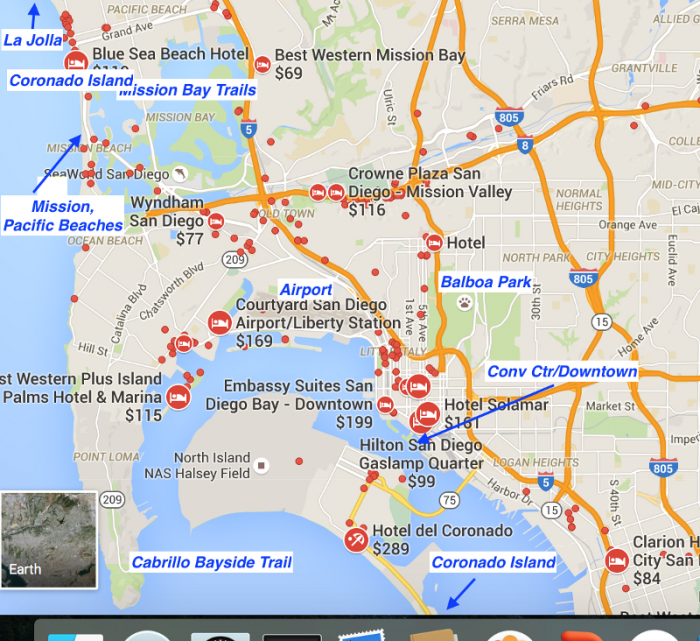 There aren’t many hotels right near or in Balboa Park. 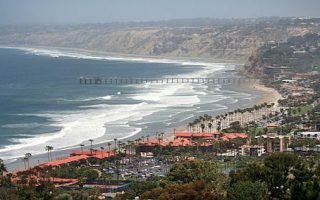 There are also a few hotels in La Jolla & Torrey Pines. There don’t seem to be as many local running stores as some other cities, but there are several that have a great reputation. Movin Shoes: Also in Encinitas and La Mesa. 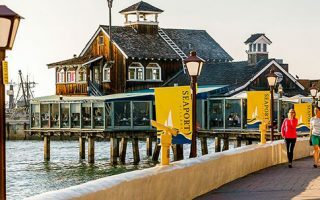 This longtime local favorite was recently purchased by Olympians Bob Kennedy and Meb Keflezighi. Super helpful folks. Group runs Mondays 6pm. Other store runs here. Milestone Running Club. Group Runs Wednesday 6pm. Laces Running Company Group runs twice a week. San Diego Track Club. Group runs: Tuesday 6pm track workouts Balboa Park. Free for visitors. 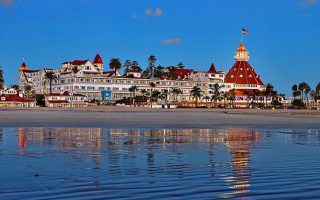 Silver Strand Half Marathon & 5K: (November) A race from Coronado to Imperial Beach that welcomes runners, walkers, wheelchair athletes and even in-line skaters. New this year is a 10-mile race for those not quite ready to conquer the half’s 13.1 mile route. 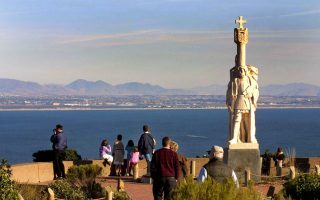 Father Joe’s Thanksgiving 5K: One of the city’s most popular 5Ks attracts thousands of people each Thanksgiving in a race that benefits San Diego’s homeless population. Sign up: thanksgivingrun.org.